Most people don’t have a perfect credit score but everyone knows how important a good credit rating can be. While having a low score doesn’t mean that you can’t get that credit card or loan that you desire, it just means you will probably pay higher fees and interest rates and in the case of a loan, a higher down payment. Fixing your credit rating doesn’t always require a financial expert and it is not as hard as most people think. 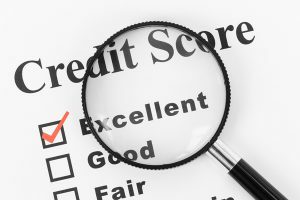 We did a little research to find easy ways to improve your credit rating. Your credit score is just a small part of how a lender will scrutinize your application, so let’s first understand how lenders and credit bureaus look at your credit rating. Each credit bureau will have different standards when analyzing your credit score, most will combine their decision with your current employment status and salary, monthly debt load and whether or not you rent or own a home. While each credit bureau has their own formula for ranking scores, almost everyone will agree on the FICO™ rating system which uses all information in a persons credit history to determine their chance of delinquency in the future. Now that you know where you rank and how you got there let’s discuss a few ways to improve your ranking. 1.Payment history…Paying on time is probably the most crucial element in deciding your ranking, so paying late or consistently slow will hurt you. Another factor is whether you have a bankruptcy, foreclosure, delinquencies, liens or collections on your record. FICO™ uses this information to determine just over one-third of your ranking score. 2.Stay under your limit…Some financial advisors say that your balance to credit limit ratio is one-third of your ranking score. Spending over your credit limit will impact your credit in a negative way and decrease your score. If you want to improve your score then the best thing to do is to keep your balance under 50% of your credit limit. 3.Length of credit history…Most credit bureaus want to see a credit history of at least 6 months before they will calculate your score. This information will determine 15% of your overall ranking score. 4.New credit…Credit bureaus will lower your ranking if they see you open a large number of credit accounts per the total accounts you currently possess. The theory is that you are having cash flow problems. You may be able to use new credit to re-establish your credit but you have to stay under 50% of your credit limit and consistently pay on time for most bureaus to improve your ranking. This information will determine 10% of your overall ranking. 5. Types of credit used…The types of loans and credit cards that you have will determine your credit ranking. Borrowing from a reputable bank or lending institution will not adversely affect your ranking but using a less reputable company will surely decrease your ranking. Having a good mixture of loans will help your score, such as a car loan, mortgage and a moderate number of credit cards. The types of loans you have will determine 10% of your ranking. You know by now that all three credit bureaus use different standards to rank consumers, so the score that is acceptable to all three agencies is 700 and above. Keeping your score over the 700 threshold will guarantee you the best lending rates and possibly allow you a zero down payment mortgage from most lenders.